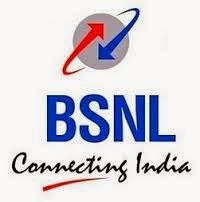 Bharat Sanchar Nigam Limited (BSNL) has recently issued a recruitment notification to recruit Junior Account Officer (JAO) Posts. Lot of candidates is applied for JAO posts and competition is very high level. BSNL was successfully conducted the JAO exam on 22/02/2014. Who are completed written exam they all are waiting for answer key of BSNL JAO. Official answer key not yet published, they will publish soon on BSNL official site. here. Here I am sharing BSNL JAO Answer key, collected from official sites are unofficial sites will published soon. Or When will BSNL released the official answer key we will publish here..
1. Who holds the record of hitting second fastest ODI century? 2. Who is the Chief Justice of India? 3. Who is the present Censor Board Chief? 4. The Indian word added in the 9th edition of Oxford English Dictionary is? 6. International Yoga day falls on? 7. Which one of the fallowing is a perishable inventory? 9. The first minister of a State Cabinet who went on to become Supreme Court Judge is? 13. Ratnagiri Gas and Power Ltd. As earlier known as? 16. As per the latest estimate, india has …..percent of the tiger population in the world. 17. IMF estimate india to grow at …..in 2015. 18. The number of bank accounts opened under PMJDY from 23rd to 29th August 2014, as stated in the Guinniess book of world records is. 21. The latest draft guidelines released by TRAI is. 22. Who is the vice-charmain of NITI Agog. 23. Where is Hydrabad House located ? 24. What NITI stands for in NITI Aayog?